locally in the Norristown farm park. 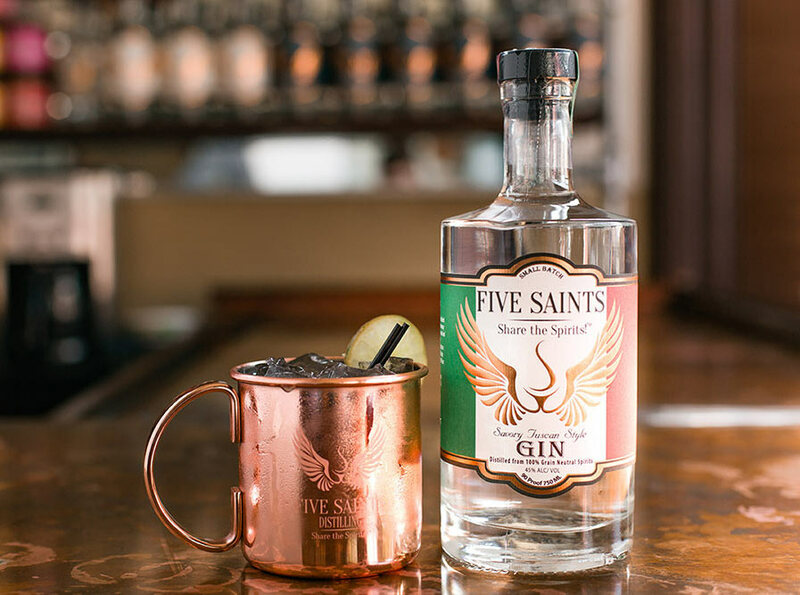 Take a tour of Five Saints! 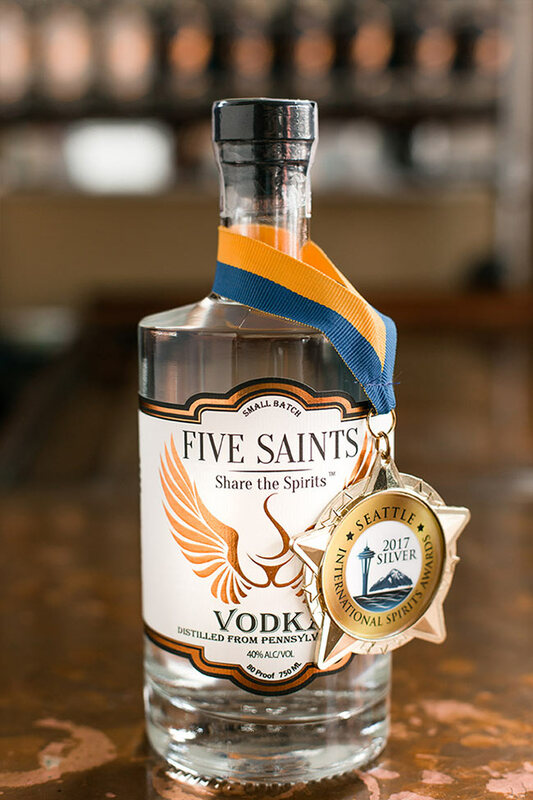 Learn about the spirits & distillery. nearest locations to purchase them. 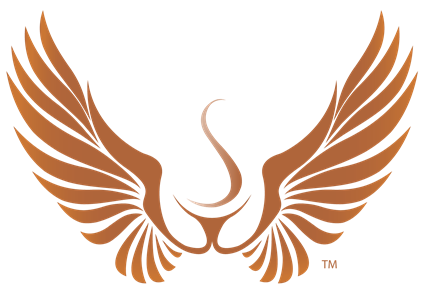 We’re pleased to offer a growing variety of Premium, Small Batch, Hand-Crafted Spirits! Follow us on Facebook for updates and to be notified of special events and new product announcements. 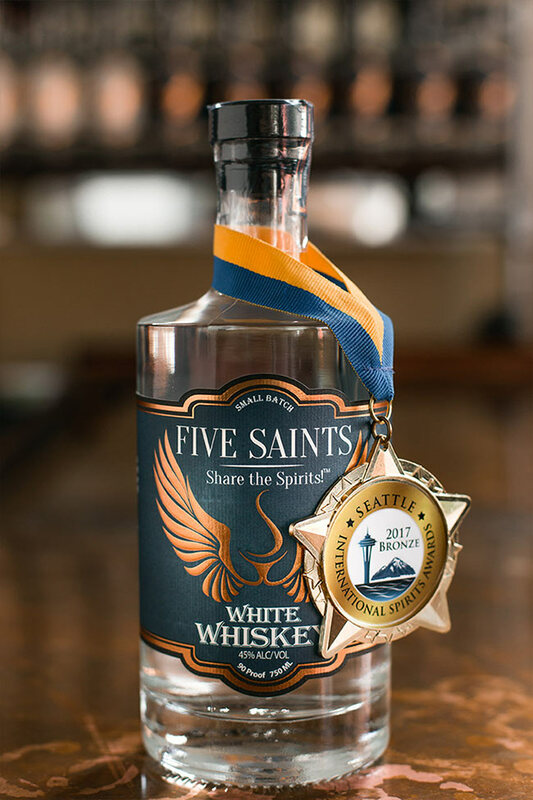 We offer tours of the distillery, music and hosting other fun events. 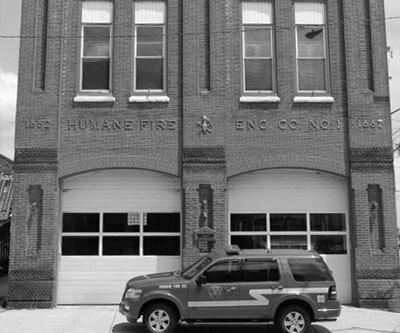 We’re located inside the historic Humane Engine #1 Fire House. Built more than 125 years ago, the hardworking firemen extinguished many a fire. 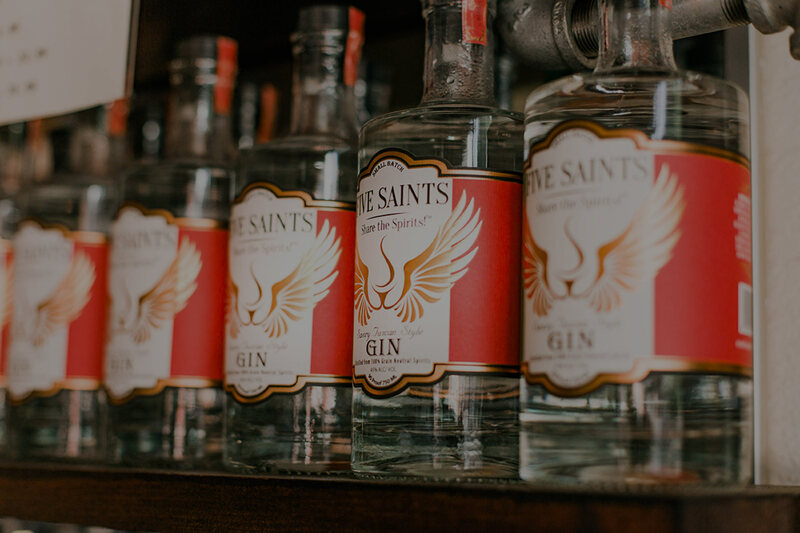 Our goal is to extinguish your thirst with our hand-crafted, small-batch spirits, while paying homage to the incredible history of this great building. Life can be an adventure, if you let it be. Every twist and turn puts us onto a path that courage and sense of heritage enable us to experience. Over time we gain the vision to see the inter-connections. If we’re lucky we experience the best that can be amongst family and community. 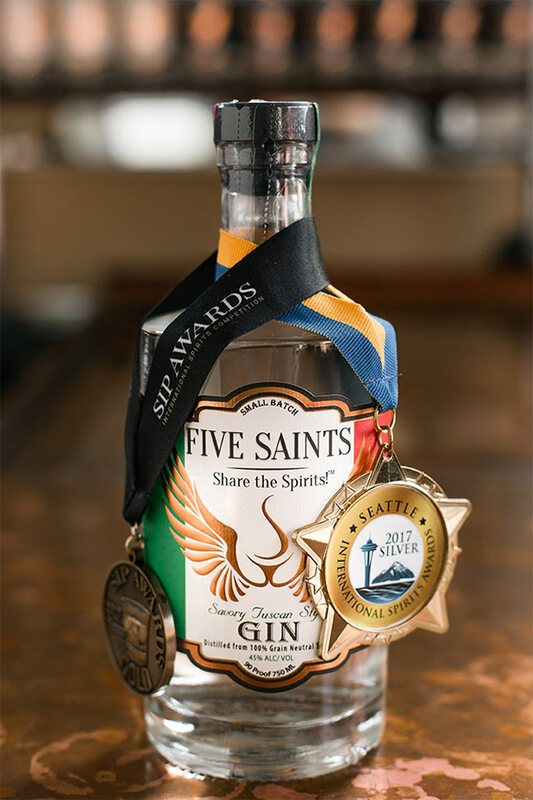 It is in honor of five men who have given so much that we have established Five Saints Distilling. 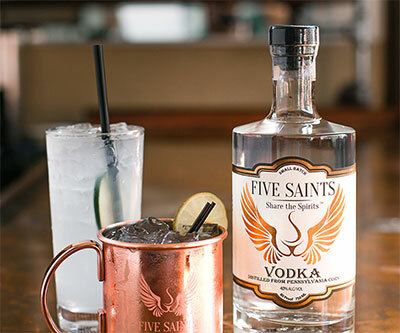 Five Saints Distilling is committed to producing a wide range of quality, premium, and ultra-premium spirits in a world-class micro-distillery. Each spirit is produced in classic style using modernized processes and equipment. Each and every batch is meticulously and consistently produced, to assure pleasurable taste experiences, drink to drink, bottle to bottle, and barrel to barrel. 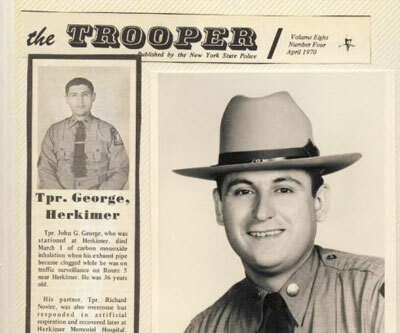 Family, community, commitment and dedication to quality describe the lives of the Saints. We are inspired in their honor to distill premium quality spirits in small batches. Please enjoy responsibly. Our premium small batch hand-crafted vodka is prepared from 100% Pennsylvania yellow #2 corn, some of which is grown locally in the Norristown farm park. We use carefully selected yeast, and controlled fermentation temperatures, and triple distillation on our state of the art custom made Carl Distilling equipment. Crafted from a mash bill of 75% Pennsylvania yellow #2 corn, some of which is grown locally in the Norristown Farm Park, and 25% rye. Our premium small batch crafted white whisky is bold and spicy, yet smooth due to a partial distillation similar to that of our Vodka. The result is a white whisky that tastes great straight or mixed in a cocktail. Inspired by Tuscan elegance, our Tuscan Style Gin is infused with the taste of juniper berries, blended with rosemary and other Italian herbs, citrus and a touch of chamomile and eucalyptus. We know you'll enjoy. 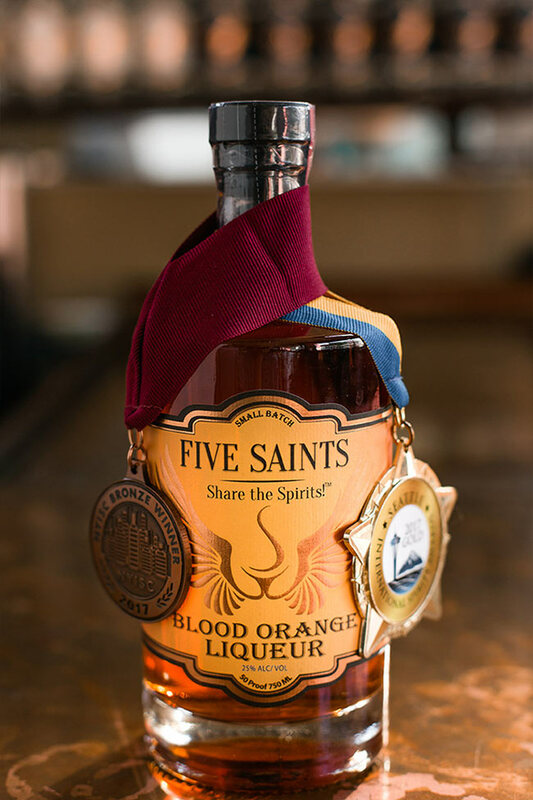 With family roots in Tuscany and a strong Italian heritage we were inspired to create our Blood Orange Liqueur. We know you'll enjoy this liqueur straight or as a mixer for fine cocktails. Experience the taste of zesty orange rings balanced by the sweet taste of fleshy blood orange pulp. 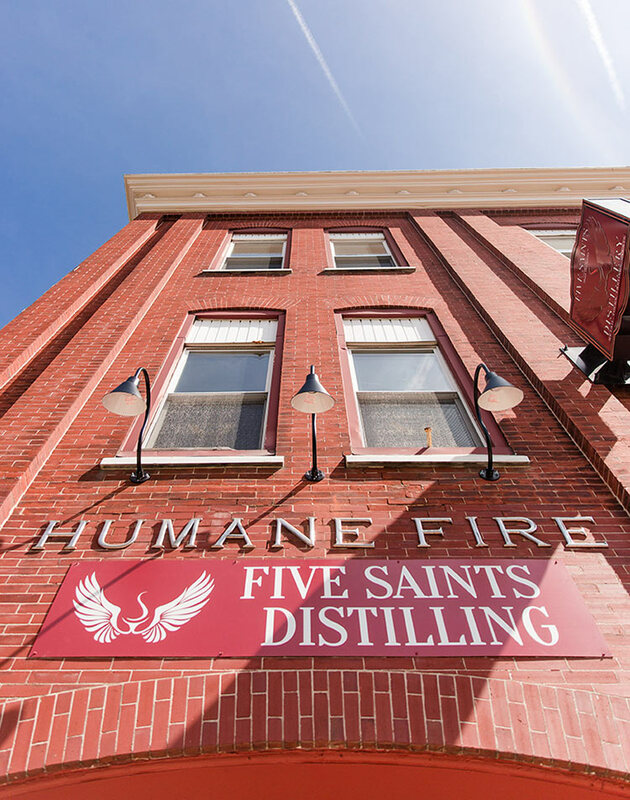 We offer firehouse distillery tours and tastings, our long whiskey bar of Norristown serving specialty cocktails made with our small batch hand-crafted spirits, happy hours, karaoke, musical entertainment and more! Check events for additional details!